The Boulder Map Gallery has been a favorite store of mine over the years. I’d buy my atlases and overview maps from this store. Alas, the Boulder Map Gallery is closing. A sign of the changing landscape for both consumer spending habits and what is considered an appropriate outdoor skill set. On the consumer level, Amazon and similar have taken over maps sales. At least for the increasingly small amount of people who use maps for planning a trip or navigating when on the trip itself. Far easier to make a few mouse-clicks and have the maps arrive at your door two days later. For a busy professional or family person, even an hour round trip to go to a store, look at the selections and drive back home may be too much to withdraw from the time bank funds. And for those who want more detailed maps, CalTopo and similar planning websites have become the planning tool of choice. But on the outdoor skill level is where I see the largest reason why the store is no longer financialy feasible. It is beyond that people just don’t use print maps, people just don’t use maps at all. I once wrote that maps wouldn’t go away, how we use maps will change. What I failed to mention is that fewer people are using any kind of maps. People don’t use maps to plan trips. Most outdoors people, from what I can tell, want a “plug and play” experience. 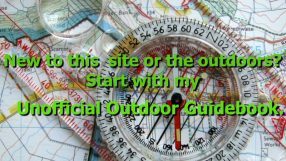 Books, websites or an app that has the data listed, what campsites to use, water sources are known and what trail(s) to follow are described in detail. I was asked how I find all these unique places to hike, backpack and camp. Finding these places really is simple. A large part of it is looking over both electronic maps and my trusty backroad atlases. I see green spots on the map? Looks intriguing. I then use online maps or print maps to narrow down the area more. Then the trip is planned. A “plug and play” trip has its merits. And I certainly enjoyed my share of these trips! But if your major outdoor skill set is following a route laid out by others, then your outdoor skill set is very narrow in focus. And you will be missing out on some great places and experiences. You’ll be doing to the exact same places that everyone else is using. And seeing the same crowds of people. People don’t know how to read maps. Of course, difficult to plan a trip using maps if maps can’t be read. Imagine how long an auto parts store would stay open if there was no market for people who change their own oil, service their own batteries, or change a headlight. As fewer people know how to use a map, less call for a specialty map stores. 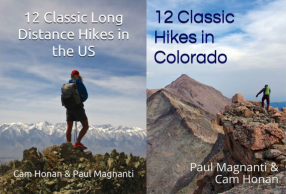 REI stocks some maps, but it is not their main income stream. Ditto for Amazon and similar. They can afford to sell something that is a convenience for their customers. Map reading is a skill most people don’t acquire even if they are active outdoors. It is not hard. There are some excellent resources available to learn this skill. But it seems less of a desired skill set. Because of GPS and smart devices, people don’t feel the need to know how to read a map. Besides many online guides with pre-defined trips, many areas now have “plug and play” resources that can be downloaded straight into a smart device. Load up an app, follow the directions and off you go. No need to actually do traditional planning for a backcountry trip! But, here’s the thing: Devices can fail. Or you’ll need to see what is beyond the narrow corridor. Or you’ll want to plan a trip. Even if an electronic device is still used, you still need to know how to read a map. And, at least in my experience, for broad overviews, a print map is far superior in the field versus a 5″ phone screen. Looking over the route at a trailhead. Maps are very useful and knowing how to read one is a skill that should be known by all outdoor users. Otherwise, your options for trips will be narrow. And who wants to be in such a small box? I don’t see the issue as electronic vs. traditional tools. I see the problem as many outdoors people just don’t see the value in using maps or even other tools to plan and execute a trip. I again refer to a favorite article of mine. Electronic tools, print maps, GPS-enabled devices, and a compass all have their places in an outdoor person’s toolkit. It is not that one tool is superior to another. It is being a well-rounded outdoor user and applying the tools for the best use in a given situation. 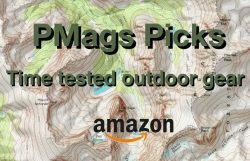 Based on map stores closing and map sales declining, it seems this essential outdoor skill set is going to the wayside among many outdoor users. Don’t be like the many. Use a map, plan your own trips when possible, and really enjoy all that the backcountry has to offer. You’re the last of the breed, Mags. Which — as you explain so well — is a shame. It’s difficult for me to imagine a day that I don’t look at a map. You covered the current state of maps quite well. My current job is GIS so maps are something I live and breathe. I’ve always used maps, whether it was Google Earth or Google Maps to find new green spaces. Much easier to find them via a map than an internet search. Our wonderful map store in Portland closed some years (I rhink 6 or 7) ago. I go back and forth among REI, the USFS either online or at the ranger station, my out-of-date National Geographic Topo software for which I have to fire up my old (2006 vintage) computer. I haven’t figured out the online stuff like caltopo yet. Of course I have a big library of old maps and guidebooks, and refuse to toss the ones that are 30-40 years out-of-date because I can find abandoned but usable trails with them! You nailed it Mr. Mags. During several weeks on the CT this past summer, I was surprised to find that I met no one who was carrying a hard copy map. Folks had the CT databook, and/or the Guthook app, but neither of them show the big picture. Aside from the safety aspect, I carry maps because I love seeing the big picture and knowing where I’m at in a landscape. Knowing the lay of the land makes me feel very connected to it and this tremendously enhances my enjoyment of the outdoors. I’ll miss the Boulder Map Gallery too. Thank God for Caltopo. Great writeup. I have a friend, who will remain nameless, who thru-hiked the AT and to this day is completely unable to read a map. No idea what contour lines meant. Couldn’t orient the map to north if his life depended on it. Great guy, strong hiker, helpless navigator. But when I’m tempted to go all grumpy-old-man on people for not knowing/using maps, I remember that I too hiked the AT without ever looking at a map. Guidebook white blazes, and that’s it. Allow me to rip off a distinction from Skurka – there are Ultimate Mapreaders, Ultimate Breadcrumbers, and Breadcrumbers By Default. None of these distinctions work perfectly but I think they’re helpful as rough heuristics. 3) Breadcrumbers By Default. People who wish they were Ultimate Mapreaders, but do not possess the skills, experience, or mindset to do so. They end up Breadcrumbing, not because they want to, but because they have to. Both #1 and #2 are happy doing what they do. The target group is #3 – to educate and inform them and encourage to enjoy the outdoors in a way that they prefer. Wow..that’s pretty good and food for thought. Sometimes I like a bit of option two, but only if it is mainly option 1-like… if that makes any sense? More BMT, less AT basically. I confess. I haven’t purchased a map in a traditional sense in over 20 years. But, hear me out. With the availability of USGS Quads online and more recently Caltopo, I can get maps personalized to me at home. I can 0lan out a route or hike and print just what I need. Is that so bad? IMO the real problem is how reliant everyone seems to be on their Smart phones. I just got done watching an entertaining series of “home movies” of the PCT b6 a 59 year old ex military through hiker who didn’t bring maps because he had the Guthook App. Of course, his phone broke in Oregon, and if it weren’t for a pair of SOBOs giving him maps for the.next 100 miles or so, he was going to quit the hike. I enjoy the half mile app for the PCT, but it cannot and will not replace paper maps. Maybe if people are willing to admit to their failures and learn from them, things will turn around for the good old map and compass. It is more about using the maps, in the end, be they electronic or print. Becoming a bit of a lost skill. Batteries are not included in my National Parks Rand McNally atlas, which is my road trip friend. I’ve been reading topos since I was 10 (I got a late start for I’m the only outdoorsy one in my family tree), thanks to the Boy Scouts. Through the military and my many of miles exploring, I always prefer a paper map. I did they hike the AT without any maps though, but that’s a different world. Digital has its place, I feel the backcountry is not that place. Once one learns how to read a map, that sticks with them forever. It’s actually relaxing and rewarding to rest along the trail and read the map, listening to the story it has to tell me. The past, present and future are right there in my hands. We have all at one time or many come across thise in the backcountry that forgot their gps owners manual at home, forgot to download some of the maps or just plain had no business being out of sight of their car without a guide for they lacked the experience. They replaced it with technology, which failed them. The map store in Boulder was an awesome little oasis that will be missed by many. Reading a map is never the challenge, only finding them. Now if you’ll excuse me, I am planning a trip this summer on the CDT using half miles paper maps. Have compass, will travel.